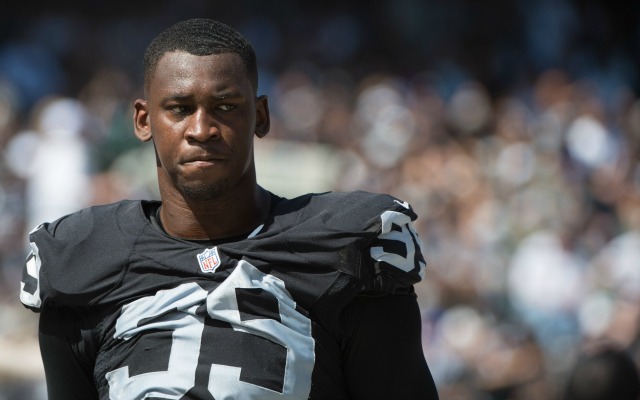 Aldon Smith seems to have found his groove with the silver-and-black. Through six games, the Raiders linebacker has 18 tackles and 1.5 sacks. They’re not All-Pro numbers, but Smith’s value to the Raiders defense can’t be explained in just numbers. With a skill set similar to Denver Broncis' Von Miller, Raiders GM Reggie McKenzie would really like to keep the recently embattled Smith around long-term. The Raiders will have to tread lightly, with Smith’s off-the-field incidents being the major reason why he was available for the cheap. He entered rehab and missed five games during the 2013 season, then served a nine-game suspension in 2014 for violating the personal conduct policy. He was released by the 49ers in August following his third arrest for DUI.